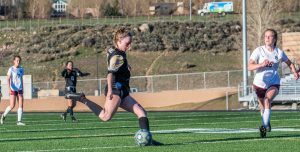 Addie Smith and Battle Mountain are 8-0 in the 4A Western Slope after a 4-0 win Tuesday night at Steamboat Springs. 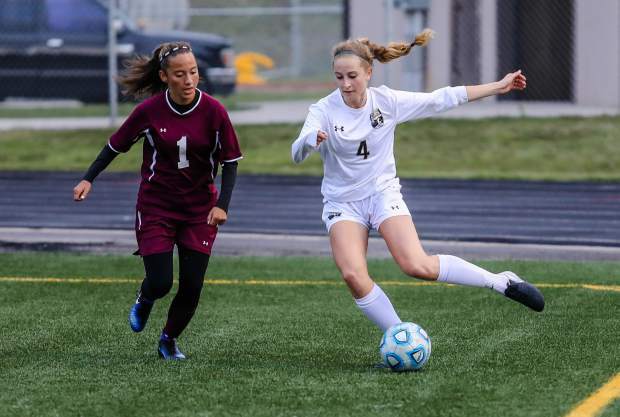 STEAMBOAT SPRINGS — Battle Mountain girls’ soccer has an ironclad grip on the chase for its second consecutive 4A Slope title after blanking Steamboat Springs, 4-0, on Tuesday night. The Huskies lead both the Sailors and Glenwood Springs by two games in the loss column with four matches to play and hold the tiebreaker over both squads. In fairness, Battle Mountain does not want to test any tiebreaker scenario. The Huskies are 8-0 in the Western Slope and 10-1 overall. Only two Battle Mountain soccer squads have run the table in the league — 2008 and 2015. What’s more, the 2019 squad hasn’t allowed a goal yet in the Slope, something that neither the 2008 nor the 2015 squads can claim. 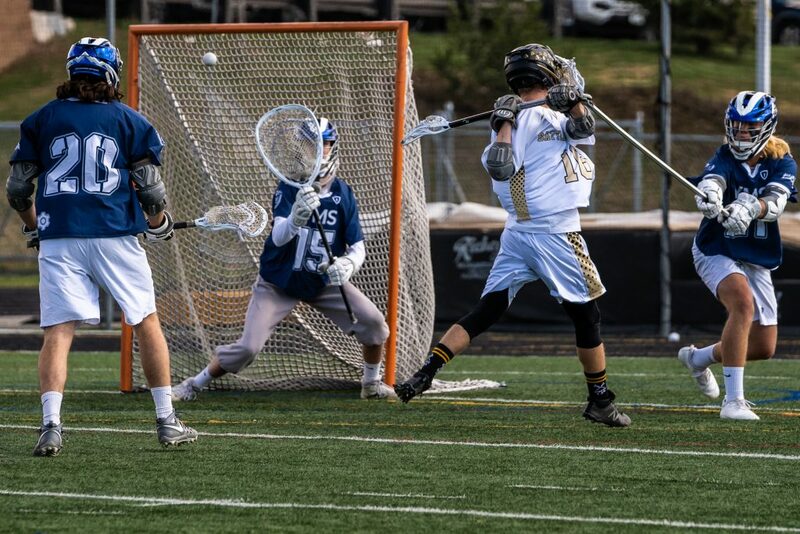 While the margin was wide, Steamboat threw the kitchen sink at Battle Mountain during their second meeting of the season. The host Sailors actually controlled play at times, but the Huskies were able to counter. And the Huskies seemed motivated by the dare. Battle Mountain started with Audrey Teague feeding Gabby Caballero in the 12th minute. The Huskies were back one minute later when Brogan Murray crossed the ball into the box. Teague was challenging the Steamboat keeper within the 18, and the ball popped out to Bailey Murray at the top of the box and she smashed it home. One of the storylines of this year’s team has been depth. At assorted times this spring, Battle Mountain has been without key players like Caballero and Claire Krueger. On the offensive end, that’s given junior Kate Mitchell, herself coming off an ACL injury, a shot. She’s made the most of it and she continued to do so on Tuesday. Mitchell scored on a feed from Sadie Fitzgerald during the 36th minute, and Mitchell was back for later in the second half to ice it. That’s because Friday is Senior Night and the Huskies have 10 seniors who, by custom, will start. We’re pretty sure Mitchell will see some playing time against Palisade. The bigger picture is avoiding any pratfalls during their final four regular season games. Going into Tuesday night, the Huskies were No. 8 in the rating-percentage index. By finishing with a flourish, Battle Mountain hopes to stay in the top eight and be home for the first two rounds of the 32-team playoff.